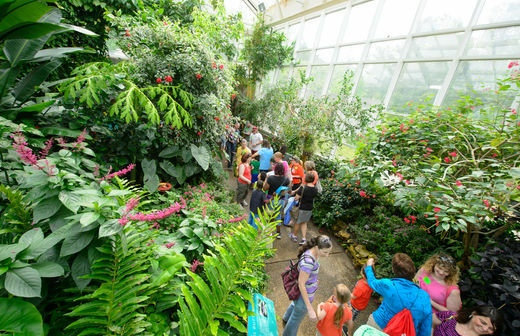 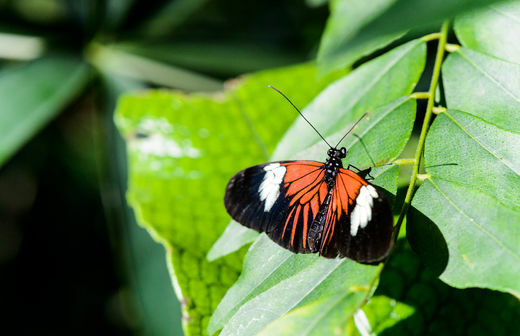 Three-story tropical butterfly conservatory, the largest on the East Coast, featuring exotic flowers and tropical plants in a rainforest area and stream garden. 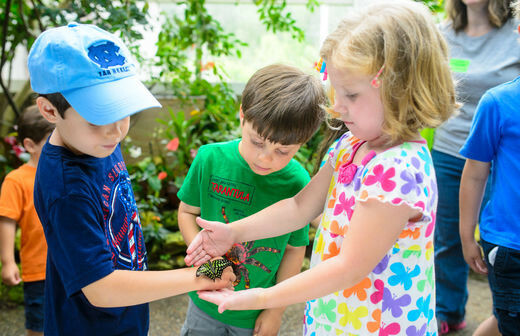 Insectarium has more than 25 live exotic species of insects and an extensive collection of mounted specimens from around the world. 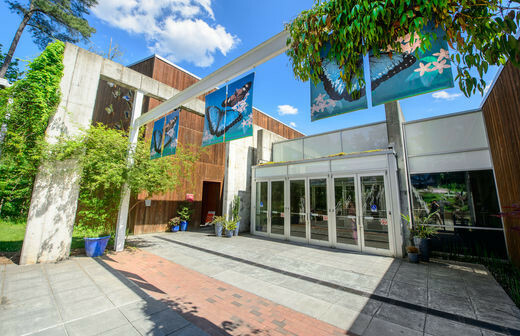 Included with admission to the Museum of Life and Science.